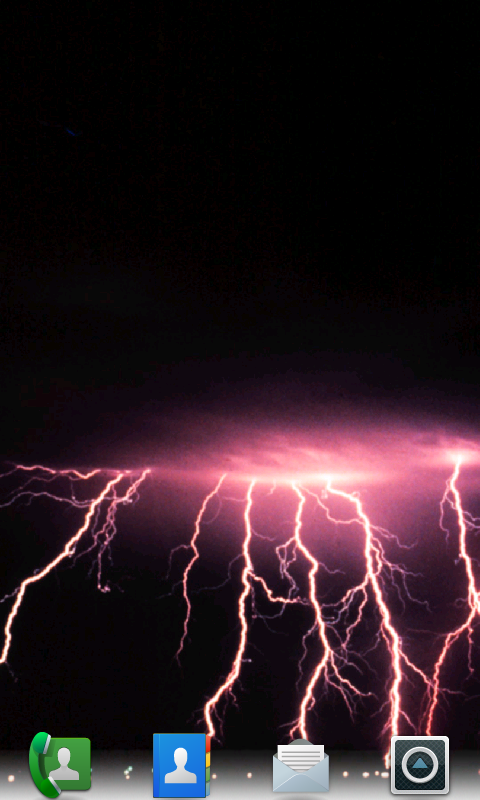 Put lightning storms on your phone with this charged live wallpaper! 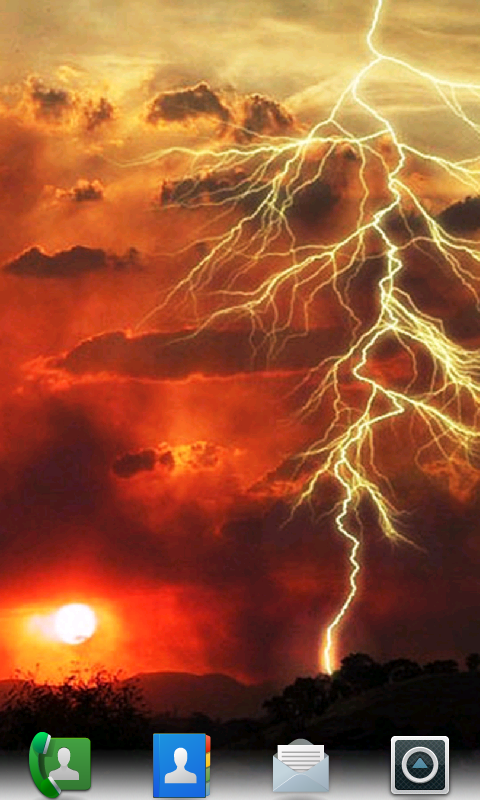 Lightning is a massive random atmospheric electrostatic discharge due to massive unbalanced electric charge buildup in the atmosphere. 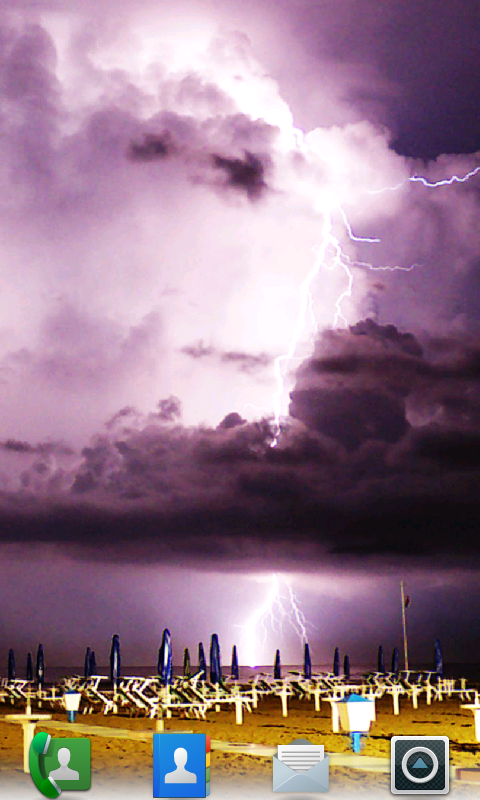 Lightning can be either cloud to cloud or cloud to ground and is accompanied by the loud sound of thunder. Some lightning strikes have caused either numerous fatalities or great damage. The following is a partial list: In 1660, lightning struck the gunpowder magazine at Osaka Castle, Japan; the resultant explosion set the castle on fire. 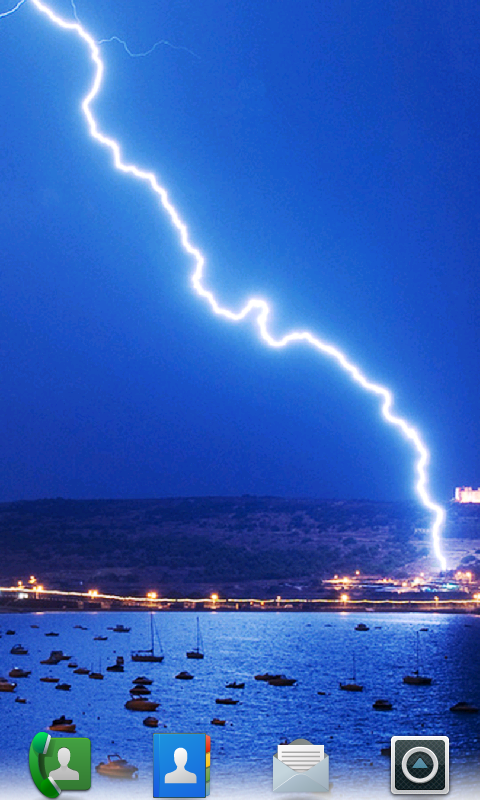 In 1665, lightning struck the main tower of the castle and it burned down to the foundation. Select text from Wikipedia, which does not endorse this product. Licensed under the creative commons (creativecommons.org/licenses/by/3.0/). Text at en.wikipedia.org/wiki/Live_Wallpaper and wikipedia.org/wiki/Lightning Storm.